Karama co-hosts roundtable discussion: how can Yemen draft a constitution from a gender perspective? 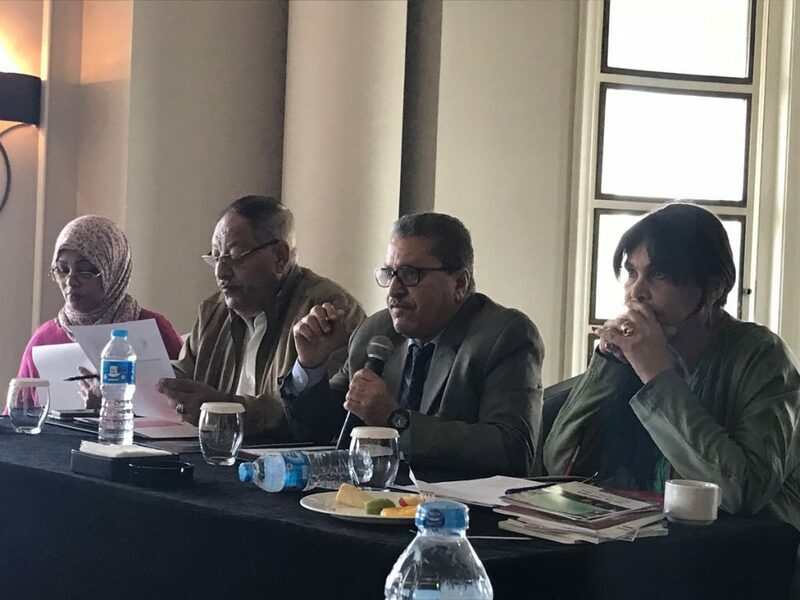 Leading experts met in Cairo today to discuss how women’s rights and protections for women can be secured in constitutional drafting processes. The discussion brought together 24 participants to pay particular attention to Yemen, and understand what can be learned from the recent experience in the Arab region. The event was co-hosted by Karama and the Sister’s Arab Forum for Human Rights (SAF). Opening the discussion, Karama founder Hibaaq Osman said that despite the extremely difficult conditions in Yemen, it is essential to think about the country’s future now. A key purpose of the roundtable was to give a voice to Yemeni people, which Hibaaq said has been absent from international discussions. 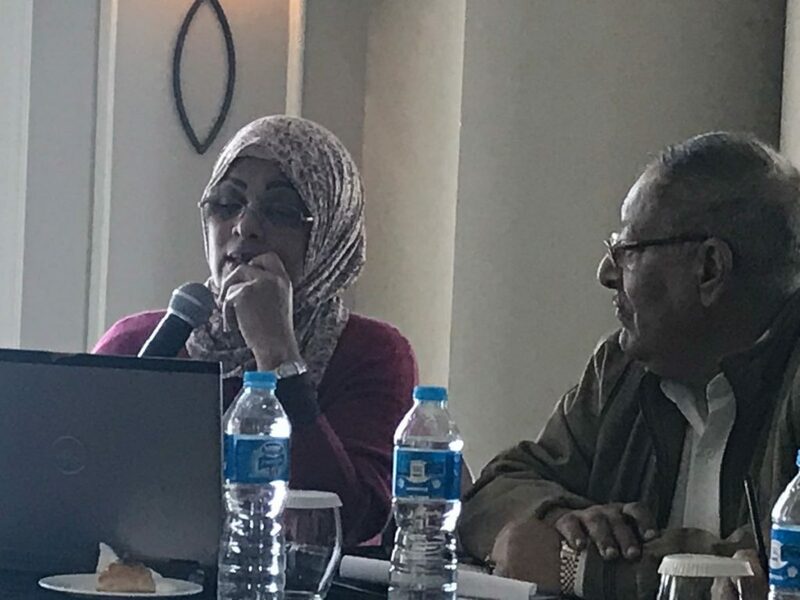 Amal Basha, president of the SAF, said she wanted participants to bring in an in-depth knowledge of how women’s rights had been addressed in constitutional drafting in the region following the revolutions. Previously women’s rights activism had focused on legislative processes, but constitutional changes provide a more fundamental way of bringing change. Amal pointed to the difficulties that women had faced during Yemen’s National Dialogue, where discussions on gender had been fraught. She stressed the importance of studying the constitution, understanding where the traps that might undermine women’s rights lie. Karama’s Maisoun Badawi explored current developments and movements in the region. She pointed to the current situation in Yemen, and the importance of the mobility of civil society to serve the community, and unify his views with regard to the debate on the constitution. Dr Azza Kamel discussed the experience of civil society in Egypt during the drafting of the new constitution. Dr Kamel noted the stages and mechanisms that formed the process, highlighting the collection and study of previous constitutions, and the understanding of how they had been formulated. She stressed the importance of being armed with the knowledge and information when dealing with the constitution drafting. This understanding cannot be limited to a small group, there is a crucial role for developing the public understanding of the process. Mass media has an important part to play in informing the public. This is of particular importance when discussing women’s rights in the constitution, from the point of view of developing public understanding and support. Howaidi Al-Shabaini of the Libyan Women’s Platform for Peace noted that customs, traditions and the nature of Libyan society had a significant effect on the constitutional process there. These factors continue to impact the effectiveness and implementation of the constitution and subsequent laws. Dr Bilquis Abo Osbeu’a, from Yemen’s Awam Foundation, looked closely at the women’s movement in the National Dialogue process. Women’s activism did see a significant impact in the dialogue – notably on the women’s quota and legal marriage age. This progress was made considerable obstacles, including conservative elements in the dialogue, who consistently tried to block and delay discussions on gender issues. Dr Abo Osbeu’a said that to secure a gender-sensitive constitution gender perspective is to correct the historical absence of women, as well as securing the legal basis for the empowerment of women, and a commitment to international treaties and agreements that provide for that. Legal advisor Dr Fathi Al-Showaiter discussed the struggle that women activists had faced in securing rights, arguing that the most significant steps forward had been made by constitutions formulated at a time of crisis, wars, and after the revolutions, because they had been keen to overcome great difficulties and provide rights to all. The roundtable concluded with agreement that Yemen’s future constitution drafting must be be clear and precise with regard to women, and include an article explicitly providing for equality between males and females in all respects of the constitution. It should include the mandatory implementation of international treaties and agreements ratified by Yemen. Participants stressed the need for articles to be clear and detailed enough that could not be left open to interpretation, adhering to the outputs of the National Dialogue. The roundtable ended with a call for civil society and all parties to work to educate the community – both men and women – of their rights and to clarify the importance of the Constitution, and to work more with the media on this issue.